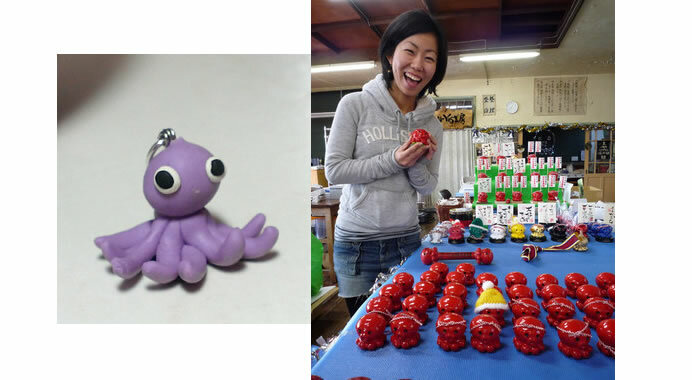 Octopus charms are manufactured at a factory in tsunami-hit Minamisanriku, Miyagi Prefecture. 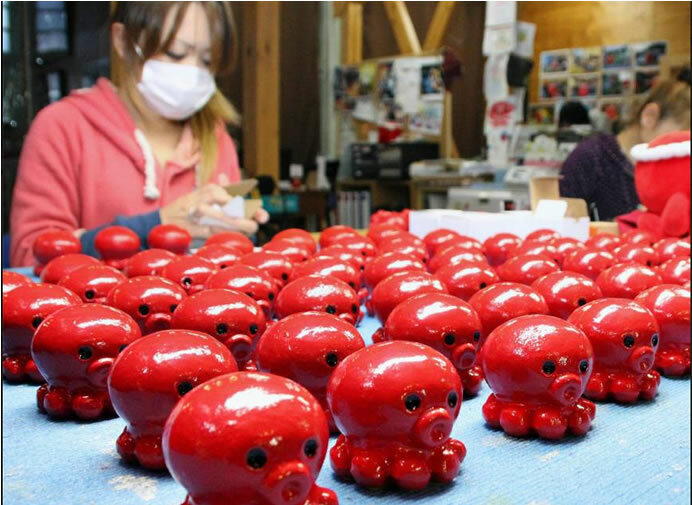 The charms have become popular during the ongoing entrance examination season, as the English word ‘octopus,’ pronounced in Japanese as ‘oku to pasu,’ forms a pun roughly meaning ‘when the object is placed on, you will pass. About 2,500 of the 5-cm charms, each costing ¥1,200($11.70), were sold in January.